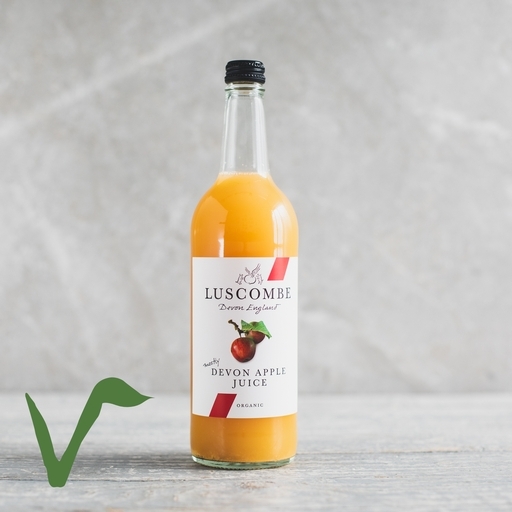 Luscombe’s sweet, deeply flavoursome apple juice, pressed from the best organic apples – mostly from Devon, with a little help from a few other English orchards. Varieties include the temptingly named Sweet Tale, Quench and Devon Crimson. A Great Taste Award winner 2017, the juice is rich and thick, with an intensely apple-y flavour – and no added sugar. Store in a cool place. Chill and tip twice to lift sediment and ensure the uice is fully mixed before serving. Once opened, refrigerate and drink within 5 days.